Rumor has it that Hamisa Mobetto has once again been knocked up by Diamond Platnumz. Unconfirmed sources indicate that the pregnancy is one of the reasons why Diamond even bought her a house. Zari Hassan has since responded to rumors about Mobetto’s alleged pregnancy. 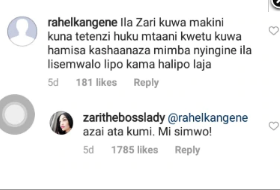 A concerned fan confronted Zari about the rumor and she replied. “Ila Zari kuwa makini kuna tetenzi huku mtaani kwetu kuwa hamisa kashaanaza mimba nyingine ila lisemwalo lipo kama halipo laja,” a certain Rahel Kangene warned Zari. 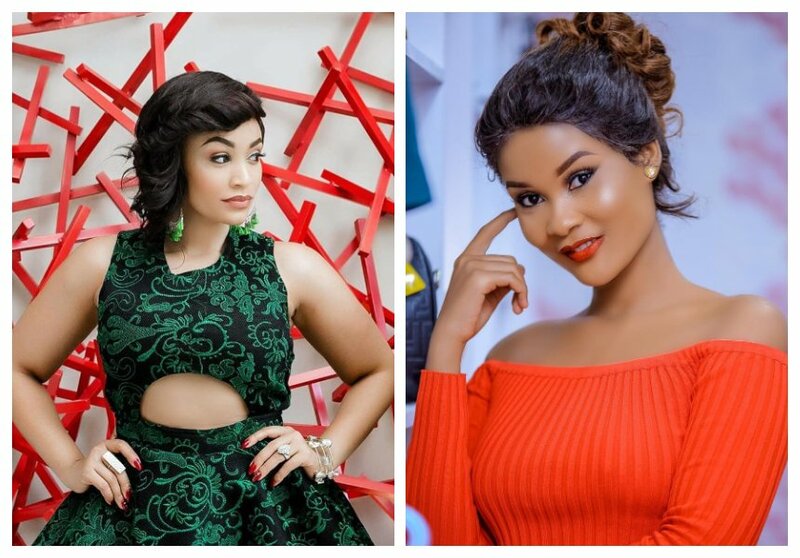 Zari responded by saying she was not bothered by Diamond and Hamisa Mobetto’s affairs. The mother of five further said she doesn’t give a damn even if Hamisa gives birth up to 10 kids. Zari had earlier indicated that she was not getting back with Diamond. She also told True Love Magazine that she was happy without her baby daddy.